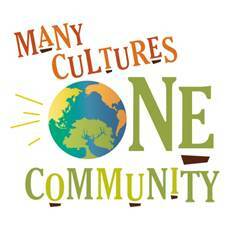 The City of Elk Grove will celebrate its well-document ethnic and racial diversity this weekend when it holds the fourth annual Multicultural Festival. The event, which will be held this Saturday at the Elk Grove Regional Park, will feature a wide array of music, art, dance and of course food. There are 20 planned presentations from Mexican, Hmong, Brazilian, Azteca, Indian, Marshallese, Greek, Chinese, West African & Afro-Caribbean, Chinese, Filipino and Punjabi groups with musical performances from Kumandee, Innersoul and Latin Touch. More than 60 entries will be on display in the Festival’s art show pavilion representing a wide variety of art mediums including painting, photography, sculpture, and mixed media. Guests can contribute to the festival awards program by voting for their favorite in the “People’s Choice” category and help create a community painting developed throughout the day. The Festival will also offer interactive activities including a petting zoo, free art activities, and origami folding that promote diversity to young people. A photo booth and pledge forms will allow participants to sign the Elk Grove Diversity Pledge and commemorate their day at the Festival. Twelve vendors will offer ethnic cuisines and the Festival will debut a new “Taste of Diversity Cooking Contest” featuring a friendly competition among home cooks with dishes containing the key ingredient of rice. Award winning Chef Ray Duey will create and display cultural carvings from melons and other produce in the new Hill Physicians Culinary Corner. The festival will be held from 10 a.m to 5 p.m. Parking and admission is free. Why isn't there diversity in city and CSD hiring? I very rarely see AFrican American, Hispanic and Asian fire fighters and police officers in the field. Lipservice is cheaper. REAL change? For heaven sakes!!! They are second class citizens, why would we give them that?